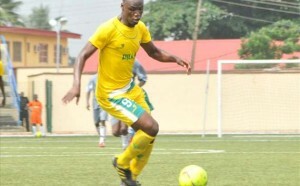 This weekend, the Kano Pillars moved to Congo to face AC Leopard of Dolisie in the Champions League. Winners 4-1 in the first leg, the Nigerians have been corrected and eliminated 3-0 in Brazzaville. A defeat that Mohamed Babaganaru, the Kano Pillars coach blames the hospitality of their opponents. “We went through hell in Congo. I cannot find a better word to describe what they did to us there. They have refused our access to the training ground, without mentioning the arbitration. They seized our camera. I’ve never seen so much horror in my career, “said Babaganrau to Mtnfootball.com. Previous post V. Kompany: he scored against his side during the match against Manchester United!